According to the timestamp on Getting Started.pdf, I’ve been a happy Dropbox user since 2010. For probably equally many years, they’ve had the most obnoxious Android app. 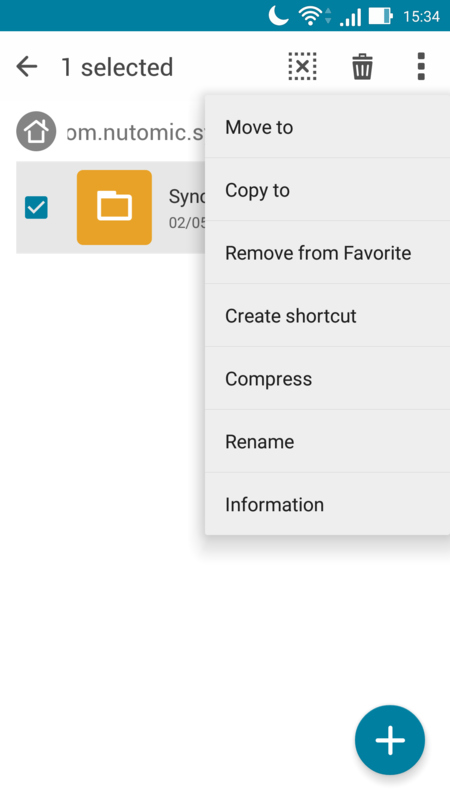 Perhaps I don’t want to put my whole Dropbox on my Android phone (although I’m not so sure I don’t), but obviously you should be able to select a whole directory to sync. Solutions like Dropsync are unfortunately super slow, probably because it seems to be mostly a clever hack that syncs files one by one. Instead of a similar alternative, I’ve really always been irked by the lack of an easy to use Unison-like sync for my phone. Running Unison in a chroot just doesn’t quite cut it… The obvious solution is something like Syncthing or Bittorrent Sync, which works regardless whether or not there’s a remote server involved. And if there is, it’d be a remote server under my own control. Syncthing isn’t ideal because of its lack of subdirectory selection. But since in reality it’s almost exclusively a one-way street anyway, it doesn’t matter so much. The main point is that this is all easier than running an FTP server on the device, plugging it in over USB, running a webserver on it to drop files into a browser window or whatever other overly complicated solutions might exist. 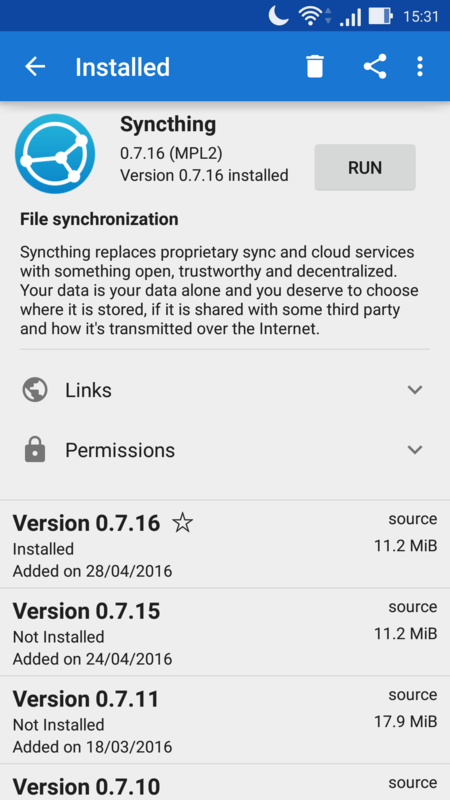 To install Syncthing, get it on F-Droid. Or Google Play, if you don’t think it’s obnoxious. You can get by almost entirely on F-Droid alone. In fact it’s where most of the best software is found. Unfortunately Syncthing can’t sync wherever. Oh well, we’ll just sync within its own directory instead. 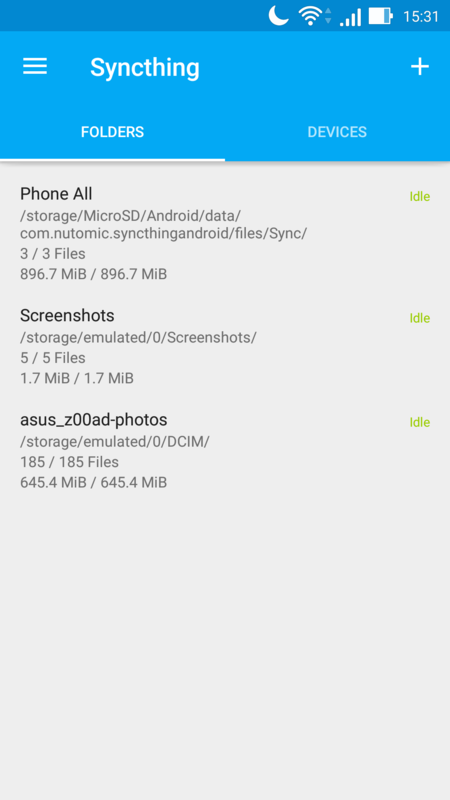 On my phone, Syncthing can’t handle the MicroSD card, but we can trick it. It’ll make some things a touch more complicated. Maybe a symlink? Oh drat, FAT32 strikes again. Meh. Aard Dictionary doesn’t care where it’s located. Add a favorite, a shortcut, or both. It’ll be difficult to interact with the directory otherwise. The sync problem isn’t really solved yet, but it’s sure a lot better. All in all, Android is still awful and you should probably consider getting an Ubuntu Phone instead. The end. As for Syncthing, perhaps its most interesting property is that it can largely replace both Dropbox and Unison. In fact it can probably completely replace Unison for me, because I haven’t actually bothered replicating my stuff onto a separate physical HDD in years. And Syncthing definitely makes it easier to add more of my laptops and whatnot into the mix. On the flipside, the fact that I run Unison once a week or so forces a kind of built-in review of the changes I made, so I can undo them if desired. In this way it’s more like a backup. But of course, Syncthing can sync between more than two computers at once, while the changes are happening. It’s worth a look, if nothing else.